MADISON, Wis. — In 2015, 2016, 2017 and 2018 state Supreme Court candidate Brian Hagedorn was paid thousands of dollars and received gifts from an anti-LGBTQ hate group, the Alliance Defending Freedom (ADF). 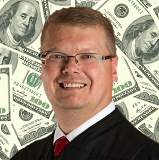 In response to media revelations about his hate group windfall, Hagedorn said he was compensated for giving speeches while a state court judge but has refused to release copies or recordings of his remarks. Via State Supreme Court Candidate Brian Hagedorn Continues to Stonewall on Paid Speeches to Hate Group @ One Wisconsin Now. MADISON, Wis. — In response to calls from the family of the victims of sexual assault who Wisconsin Manufacturers & Commerce outed in a $1 million ad campaign for Michael Screnock, WMC has taken down the list of its board of directors from its website. Link to WMC Board of Directors page. Via WMC Takes Down Board of Directors Page | One Wisconsin Now. When it comes to figuring out what the electorate may look like for Tuesday’s Supreme Court election in Wisconsin, I think it’s instructive to look at three different sets of Wisconsin electorates. 1. The primary election in February. 2. The April election in 2017 – where Tony Evers easily won the School Superintendent race with a Dem-leaning electorate, and then contrast with the 2013 April election where now-Chief Justice Pat Roggensack cruised to a win with a GOP-leaning electorate. April 2016 is a bad example because of the much higher turnout due to contested presidential primaryies going on for both parties. 3. The November elections of 2016 and 2014, to give an idea of the difference between a November electorate and an April. While justices have been known to change while serving on a high court, most tend to conform to the record of their past legal career. 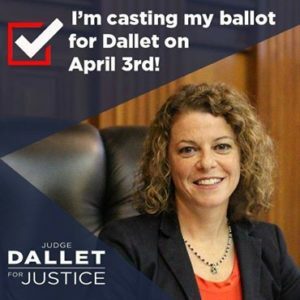 Dallet’s career has been that of a mainstream prosecutor and judge who has been endorsed by more than 175 judges in Wisconsin. She seems most like the late moderate conservative justice Patrick Crooks, who was tough on crime, but parted with the Wisconsin Supreme Court on key issues like recusal rules and campaign coordination. As for Screnock, he has already let us know he will emulate Gableman, an aggressively right-wing justice who operated as a rubber stamp for the conservatives who now rule this state. That’s how Screnock operated as a lawyer, and nothing in his campaign has suggested he sees any reason to change. Via Murphy’s Law: The Strange Race for Supreme Court » Urban Milwaukee. MADISON – At Monday’s Milwaukee Bar Association debate, Judge Michael Screnock was presented with multiple opportunities to commit to behaving ethically on the state Supreme Court. He declined to commit to recusing himself from cases involving his major donors at every turn. Wisconsin’s largest corporate lobbyist, Wisconsin Manufacturers & Commerce, has spent more than $1.35 million in its attempts to elect Michael Screnock. This is particularly important because WMC and its member corporations frequently are party to cases before the Supreme Court. This spending would present Screnock with a massive conflict of interest should he be elected to the Supreme Court. Via Screnock Sides With Donors over Ethics on Wisconsin’s Supreme Court @ Green Bay Progressive. The entire state has only two contests to be concerned about. 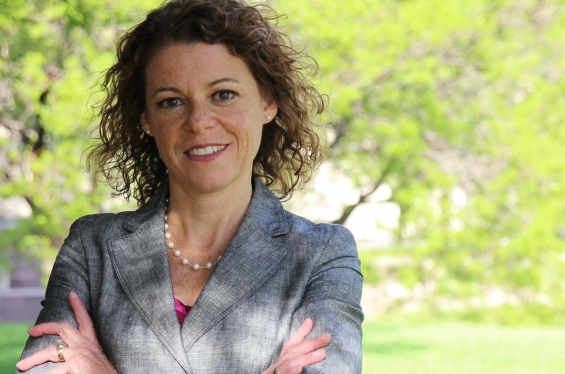 One is electing Rebecca Dallet to the state supreme court. She is the only acceptable candidate, demonstrated by the desperation of the ads against her (arguing not that she let anyone go but followed the family and prosecution’s advice in sentencing). She is also the first step in restoring balance to the court. In 2019, Shirley Abrahamson’s seat is up, and though she has not announced if she is running again, her legendary distinction will carry liberal weight. In 2020, before the next presidential election, it is the unknown justice under the gun – Daniel Kelly, appointed by Walker to fill out David Prosser’s term. He has never faced the voters at any level, serving mainly as litigator and conservative hired gun on gerrymandering. Dallet will be the start on turning the high court back to normalcy. The other important vote is No on eliminating the office of state treasurer. This is simply a power grab by the executive against the state’s banker, who should be examining in a watchdog role billions of dollars in common aid to schools and libraries while also serving a key role on the commission for public lands. Via DOM’S DOMAIN POLITICS: TRUMP NOT ON BALLOT BUT VOTERS CAN SEND MESSAGE APRIL 3. In a victory for this case, [Clean Water, Inc. and Lynda A. Cochart v. Wisconsin Department of Natural Resources et al (Wisconsin Case No. 2015CV002633)], we are pleased to share the July 14, 2016 Circuit Court [Judge John W. Markson’s] decision that affirms the petitioners’ and partner organization Clean Wisconsin’s argument before the court that the Wisconsin Department of Natural Resources’ rejection of the Division of Hearings and Appeals’ Administrative Law Judge’s order to include animal unit limits and off-site groundwater monitoring of Kewaunee County CAFO was unlawful. This decision also describes how the Department of Justice’s narrow interpretation of Act 21 – that the DNR did not have explicit authority to impose these permit conditions – was incorrect and that state statutes do empower the DNR to require limits and monitoring of pollution in order for permitees to comply with state and federal clean water laws. Read the full Circuit Court decision (PDF). Via MAL Contends . . .: Wisc Court Hits State DoJ and Factory Farm Polluters in Win for Clean and Safe Water Advocates. We conservatives might well be ahead to go through the process of hearings at this time rather than to engage in our current “we won’t do it and you can’t make us” snit fit. The Congress can either give a thumbs up or deny the appointment. In either case, the Congress will have discharged its duties and responsibilities rather than to have simply stuck its collective head in the ground, thus avoiding its duty and being subject to further scorn by the Democrats. Via A Moderate Judicial Nominee @ curmudgeonsthoughts. But more importantly, in the recusal area, the Court’s concern is not limited to the potential for a “quid pro quo.” Rather, the constitutional inquiry is directed to any circumstance in which a judge’s ability to be impartial might be questioned. Substantial and impactful campaign support can create a “debt of gratitude” that creates an unconstitutionally high appearance or risk of bias. But that’s not the only source of bias. The Court made clear that the due process clause requires“a realistic appraisal of psychological tendencies and human weakness,” to determine whether there is “such a risk of actual bias or prejudgment” that recusal is required. Via Shark and Shepherd: Judge Kloppenburg’s Recusal Distinction Doesn’t Work. Justice Rebecca Bradley’s student writings on AIDS demonstrate a lack of compassion, and her response to their disclosure demonstrate a lack of remorse. Via The trouble with Rebecca Bradley @ Isthmus. Justice Rebecca Bradley, a candidate for the Wisconsin Supreme Court, is getting killed in the media for one indiscretion after another. It’s like the old Chinese torture of death by a thousand cuts. Via Dave Begel’s Blogs: Judge Rebecca Bradley facing the torture of death by a thousand cuts.